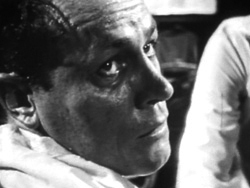 Besides seventeen episodes of “Alfred Hitchcock Presents,” and one episode of “The Alfred Hitchcock Hour,” Hitch directed just two other television programs. 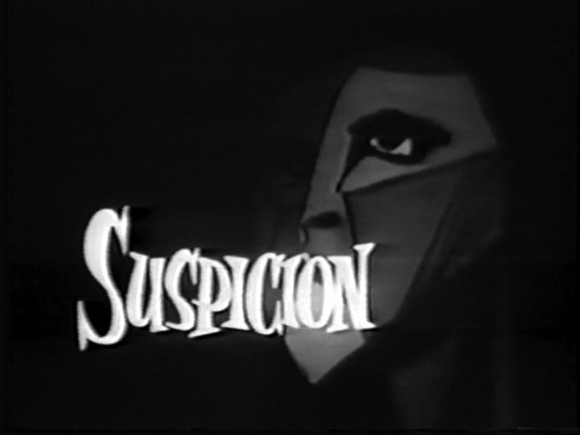 The first, which was shown on September 30, 1957, was from the new series “Suspicion,” and like the “Suspense” radio series of the previous decade, Hitchcock directed its first episode, and in fact served as executive producer. The hour-long story is called “Four O’Clock,” based on a story by Cornell Woolrich and starring E.G. Marshall as Paul, a clock and watch repairman who owns a small shop in a middle American town. Paul is a tightly wound man who has a reputation as being brusque but very good at his job. 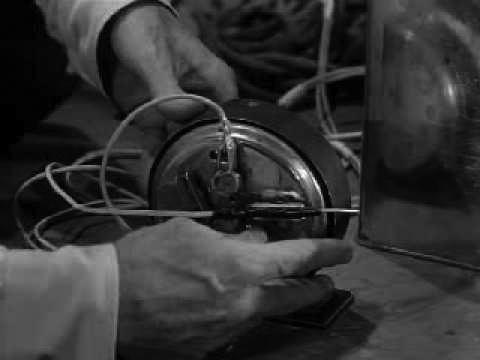 As the episode begins, we see him methodically working on an alarm clock: wiring it in some strange way, plugging it in, and using it to detonate a small charge. His thoughts tell us that he’s planning something – he suspects something to do with his wife. Going home that evening, he sees bits of evidence that someone else has been in the house, and he decides that it’s a man. 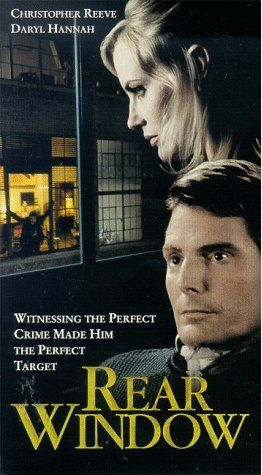 His wife is having an affair, and now he’s ready to kill them both by blowing up the house. His observations have told him that the man, whoever he is, comes by the house every afternoon – so Paul is going to set the bomb to go off at four o’clock. Paul tries to get loose, but can’t; he also fails when he tries to break the ropes by rubbing them against the pipes. Upstairs, he hears his wife and a man, but listening closely, he realizes that it’s her brother. She’s been hiding him because he’s ex-convict, and she hasn’t worked up what to say to Paul about him coming to live with them. 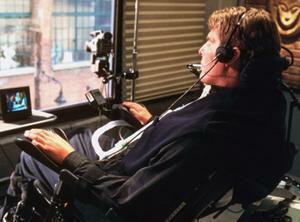 Paul tries to get their attention, but he can’t make enough noise, and soon, they decide to go to his shop to meet him. Time continues to tick down, and Paul grows more and more frantic. He’s unable to get the attention of the gasman, and a small boy who peeks into the window is too small to explain to his mother that the man in the basement is in trouble. His thoughts scream that he’ll do anything to be free and safe. As Paul struggles and four o’clock grows closer, the ticking of the clock gets louder and louder and his heart pounds harder and harder. We cut away to the outside of the house, where a crowd has gathered. In the basement, doctors are fitting Paul with a straightjacket as he mumbles to wife that he doesn’t mind if she takes a lover, only, he begs her, “Don’t leave me… don’t forget about me.” A copy trips over the power cord that’s connected to the timebomb, pulling it out of the wall. He looks at the setup and asks Paul’s wife if she could turn on a light so he can see whatever it is, and she says no, she can’t, because she blew a fuse in the basement that morning. In this story that recalls Hitchcock’s 1936 movie “Sabotage,” it’s no surprise that the master of suspense keeps viewers on the edge of their seats as four o’clock gets closer and closer. There’s an absurdity in the situation, too, as Paul realizes how foolish his predicament is and pleads with anything and everything, even the clock itself, for help. 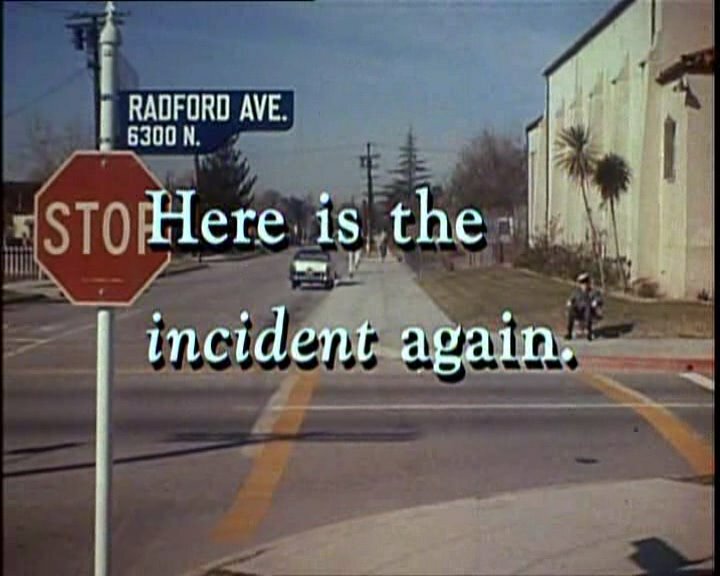 On April 5, 1960, the series “Ford Startime” broadcast Alfred Hitchcock’s one and only color TV episode: called “Incident at a Corner,” it starred Vera Miles and George Peppard and was set in another non-descript American town. The show begins outside a school, as an elderly crossing guard attempts to stop an oncoming car. The driver blows past his stop sign and parks, and a woman, Mrs. Tally, gets out. She’s late for a meeting at the school, but the crossing guard says that he has to report her to the police for not stopping. She is furious at this and berates him as a teacher listens to what’s going on. Hitchcock pulls a mini “Rashomon” here, showing the scene over and over from several angles, and it’s in the final replay of the scene that we see another car nearby. A woman gets out of that car, hiding her face and rushing into a house, while her companion, an older man, watches Mrs. Tally yell at the crossing guard. Once both are inside, we hear the woman tell her companion that she knows that crossing guard, and that he’s going to give her away if she recognizes her. The man, played by Jack Albertson, reassures her, saying he’ll take care of the crossing guard. Later, we see Vera Miles, playing Miss Medwick, granddaughter of the crossing guard. She’s tutoring a young man in math, but after receiving a phone call he abruptly leaves. Medwick’s fiance, played by George Peppard, joins the family to celebrate the old crossing guard’s birthday, but the party is interrupted by someone from school who has stopped by to tell old Mr. Medwick that he can’t be a crossing guard any more, because he’s been accused of getting too close to the little girls. The story begins to examine the nature of rumor mongering, as the Medwick family begins to argue about how – and if – they should fight these rumors. On the one hand, it seems like there’s no real way to fight back, as they are only rumors. 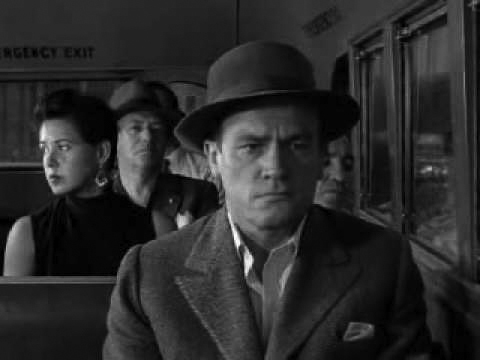 On the other, Peppard (not sure of his character’s name) insists that they have to clear the old man’s name if he’s going to continue living in their town. Peppard and Miss Medwick take it upon themselves to talk to the school’s principal and the head of the PTA, who had received an accusatory note calling Mr. Medwick a vicious old man. They then interview the teacher who had witnessed the incident, and who reported that Mrs. Tally had called Medwick “a vicious old man.” But when they confront, she haughtily refuses to admit any wrongdoing, although they’re sure that she wrote the note in the first place. After visiting the other teacher again and learning that Mrs. Tally had never called Mr. Medwick vicious – she actually called him officious – they are at a dead end, until Mr. Medwick remembers the other car that had been nearby. They find the house and knock on the door, and Medwick does indeed recognize the woman inside: She’s from his hometown, and had been an underage “burlesque” performer years before. She had been afraid that he would start rumors about her, but now that it’s all out in the open, Medwick promises to keep her secret. 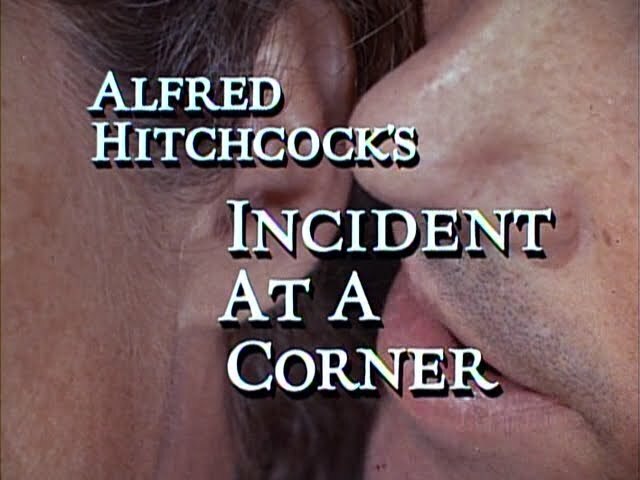 “Incident at a Corner” doesn’t bear many of Hitchcock’s typical hallmarks, although it does have an air of creeping dread. The most memorable moments are the various versions of the opening and the moment when, after he’s just been fired and accused of being a child molester, Medwick gloomily opens his front door as his family sings “Happy Birthday” to him. 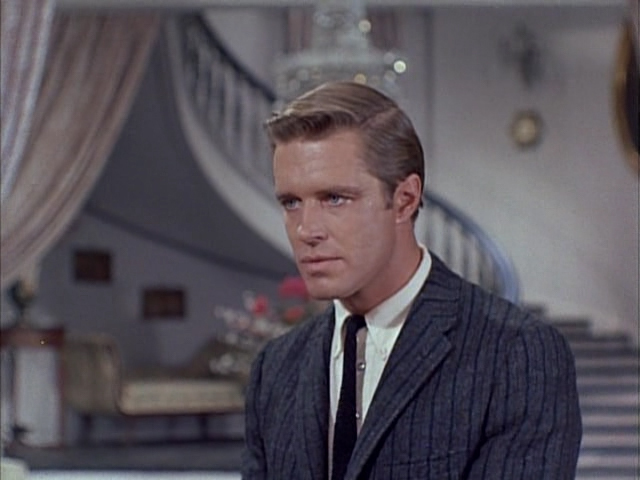 George Peppard is a particularly seething angry young man, although, of course, he’s wearing a suit and tie throughout.